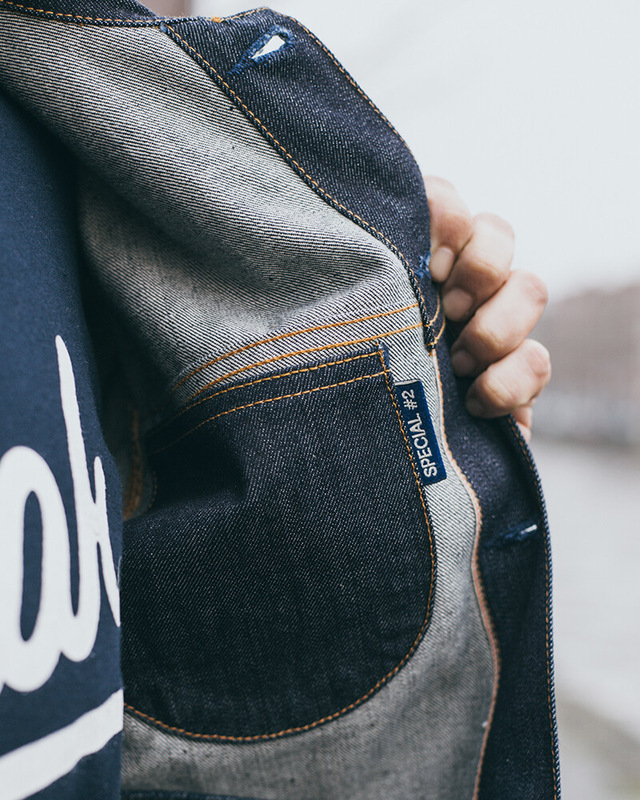 At Robin Denim we often write about ounces, selvedge, and other denim-related subjects. But every now and then we make an exception, and we explore other topics that make our hearts beat faster. Today is such a day, as we will jump into the world of backpacks, featuring five super rad brands, that make ridiculously good backpacks. We have been searching the web for five stunning backpacks that we would love to swing over our shoulders ourselves. Five backpacks that will make all of our friends jealous, and that are built to last for years. After testing the bags below for several weeks, we can honestly say that we have accomplished our mission! To wrap up the introduction, some ‘fancy’ words about the bags featured below: Handmade, high-quality materials, and durable… So, scroll all the way down and make sure you don’t miss one. Tanner Goods started in 2006 and comes from a background in industrial design and branding. At that time, the founders got attracted by leather for its versatility and characteristics. Using leather allows the founders to combine their passion for design and the traditions of where they grew up. Although Tanner Goods is most known for their durable and stylish leather goods, they’ve recently released the Wilderness Rucksack. The collection of Tanner Goods varies from leather belts and wallets to waxed canvas dopp kits, all of which are made of high-quality materials. The products last for years and will patina with use, reflecting the owners’ lifestyle and adventures. Whether you go hiking in the Swiss Alps and across glaciers, or want to wander around in urban jungles, Tanner Goods’ items will be trustworthy companions. 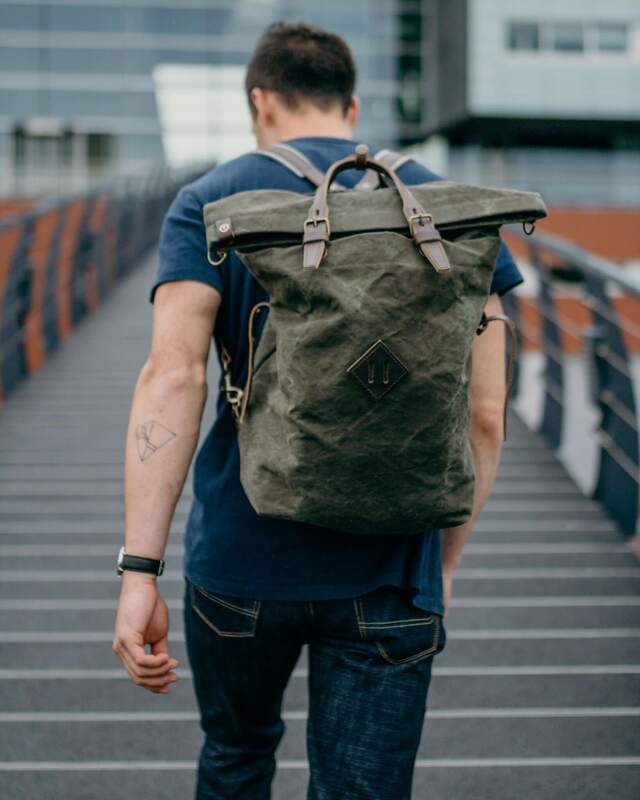 The Wilderness Rucksack is built on years of experience in making goods of leather and canvas. The Rucksack is made of a limited 14 oz. 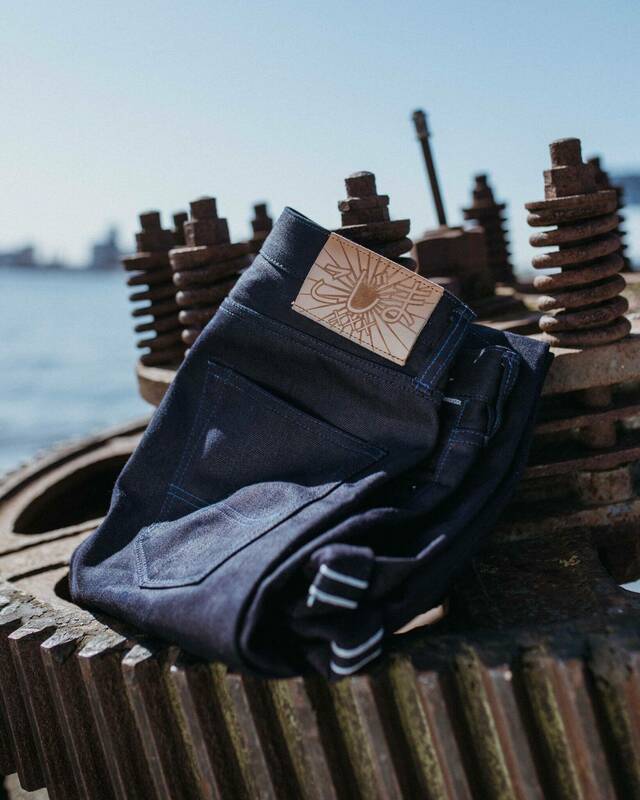 durable cotton twill construction that has been mill-washed and waxed. It features a large central with leather pockets and a felted wool laptop sleeve, giving extra protection. The central compartment can hold 20 liters, so it will easily fit your daily necessities twice, maybe even thrice. 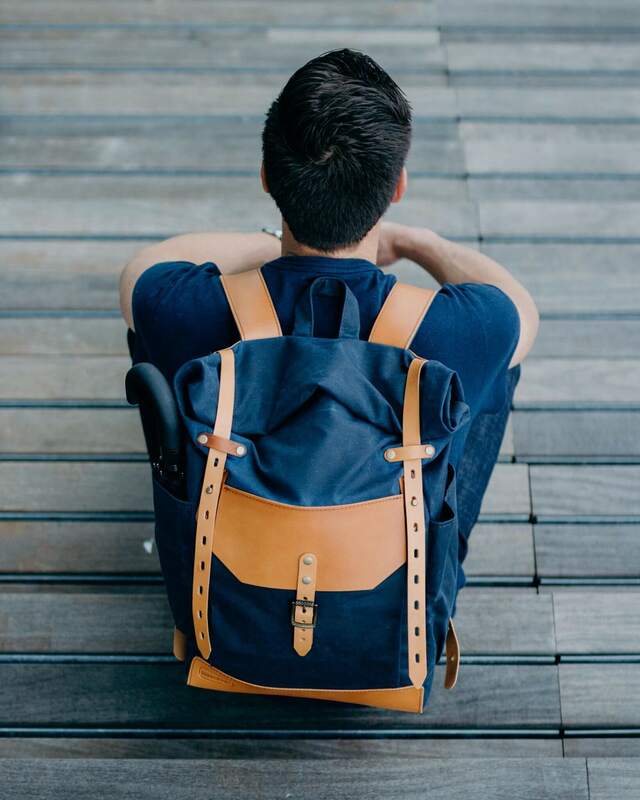 Due to the leather straps with button-stud closures, the roll top is quick to open, making the rucksack easy to use. Tanner Goods Wilderness Rucksack is available at their recently opened European webstore and is priced at €485. ­Loyal Stricklin is owned by a team made up of a husband and wife, Michael and Sarah Stricklin, and is located in Nashville, Tennessee, USA. By creating a legacy of making high-quality goods by hand, Loyal Stricklin grew from just an idea into a highly sought-after leather goods brand. With the help of a small team of dedicated employees, and by carefully selecting the materials, Loyal Stricklin is in the business of making garments that last. 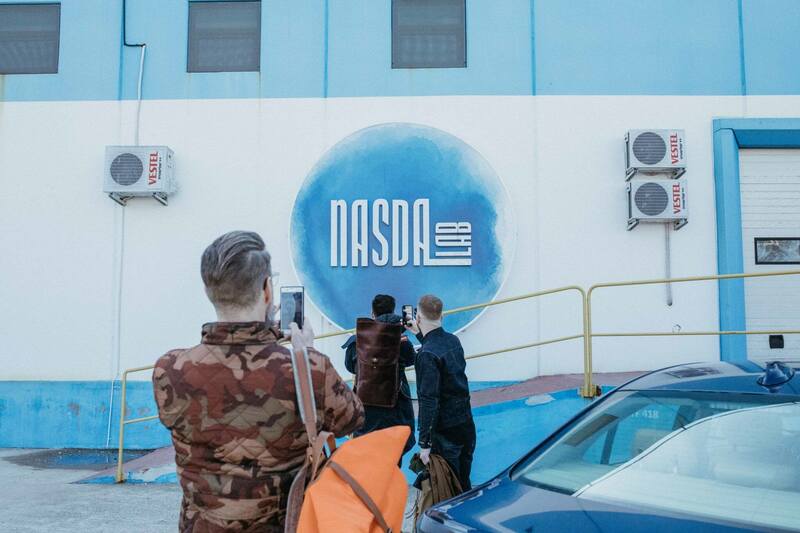 They offer a wide selection of leather goods that vary from wallets to mugs, and from bags to mousepads, all made by hand in the USA. Characteristics are the clean and simple designs, as well as the use of high-quality materials. Whether you are looking for a wallet or a backpack, they will all last for many years. From every purchase, Loyal Stricklin donates 20% of their profit to different charities which is a very noble matter if you ask us. The Ruck Sack in rich tan is made of extremely high-quality 5.5 oz. Tan Horween Chromexcel from Italy. The leather has an intense deep brown color and is thick enough to stand on its own when it’s unrolled. The Ruck Sack is stitched with thick yarn and finished with indestructible brass hardware, which isn’t a luxury with 5.5 oz. leather. It has one large cavity with two smaller pockets on the front. Currently, the Ruck Sack in rich tan is made to order, with a wait time of 4-6 weeks. Loyal Stricklins Ruck Sack in Rich Tan is available for €650 and can be bought at their web store. Dyemond Goods is a Dutch one-man show and established and run by Mike van der Zanden. All goods are designed, developed, and made by hand in his workshop in Eindhoven, the Netherlands. All garments are made from high spec materials, specially selected to fit in his functional design philosophy. As to the leathers, Dyemond Goods is using vegetable tanned leather, meaning that the leather goods will evolve. Over time, the color of the leather will darken, telling the story of the user. At Dyemond Goods, it all started with bags. At the time Mike needed a new bag, he noticed that a high-quality backpack wasn’t affordable. So, Mike decided to make his ultimate backpack himself and started to learn the ropes, step by step. Today, Dyemond Goods is offering a collection existing of wallets, belt, bags, and even home accessories, all made of the best materials available. The Outland Backpack in Black Salt & Pepper is made of a waterproof, tear resistant, and extremely durable fabric. It’s a reverse engineered canvas fabric that was used by the Swiss Army in World War II. The bag has one spacious compartment that can easily fit your laptop and spare jeans at the same time. The webbing on the front has both a design and functional aspect, as you can put your denim jacket behind the straps. Last but not least, the Outland Backpack is finished with handset solid copper rivets and solid brass hardware. The Outland Backpack comes at the price of €399 and is available here. Photo courtesy of Benzak Denim Developers. 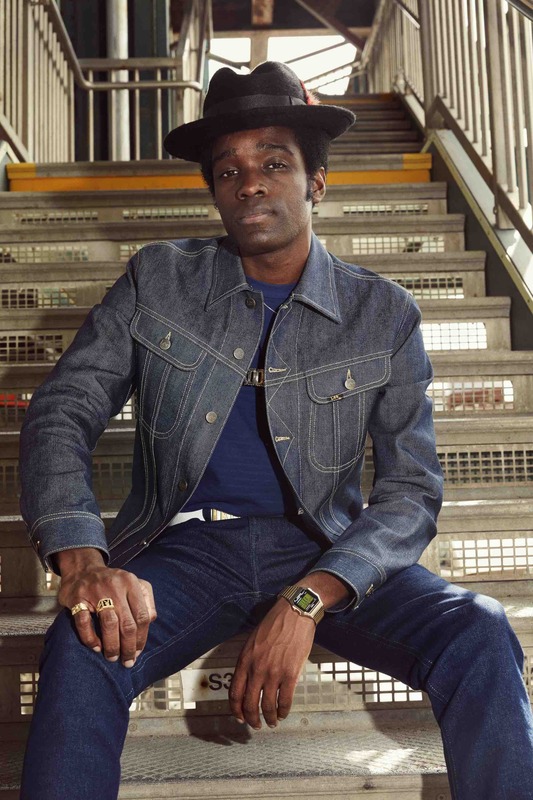 Blue de Chauffe is the name of the blue jacket that was worn by French factory workers and locomotive drivers in the late 19th and early 20th centuries. Based on the industrial vibe of the 20th century, Blue de Chauffe have been reinventing work bags in a cool and urban way. The designs are clear, sharp and stylish, but, more important, practical and made to last for years. The collection of Blue de Chauffe is made of the finest materials, like for example vegetable tanned leather and cotton canvas. All bags are completely made by the hands of experienced artisans in Aveyron, an area in the south of France. A cool feature is that every bag of Blue de Chauffe is dated and signed by the artisan that has made it. The Woody backpack, as seen on the photo above, is Blue de Chauffes reinvention of an old climbing bag. It is made of vegetable tanned leather and high-quality cotton canvas, particularly suitable to protect the contents. Thanks to a few small adjustments, the Woody Backpack can be used as a backpack and as hand luggage. It features two outside compartments, making it very easy to quickly store small accessories. The bag has a large capacity and can easily fit your laptop and a few pairs of raw’s, allowing you to carry your collection everywhere. 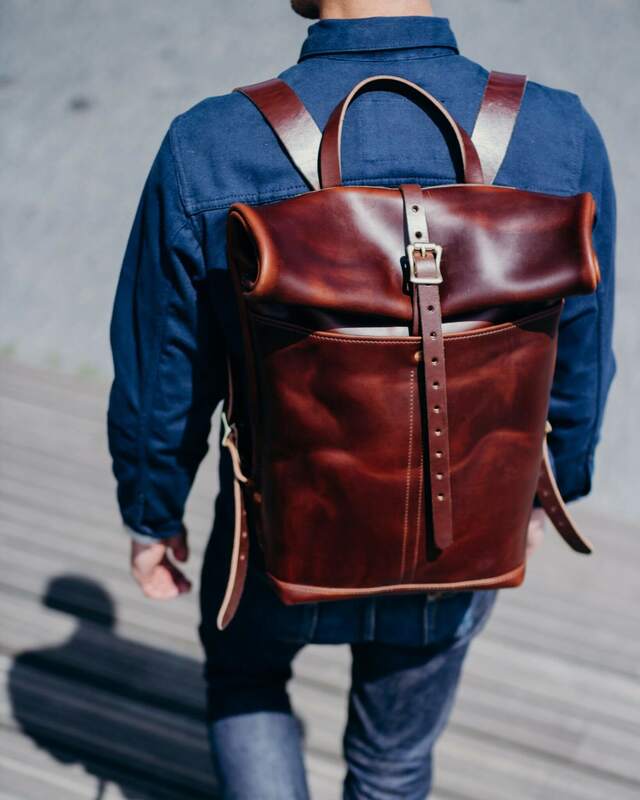 The Woody Backpack is available at the Blue de Chauffe web store and comes at a price of €349. 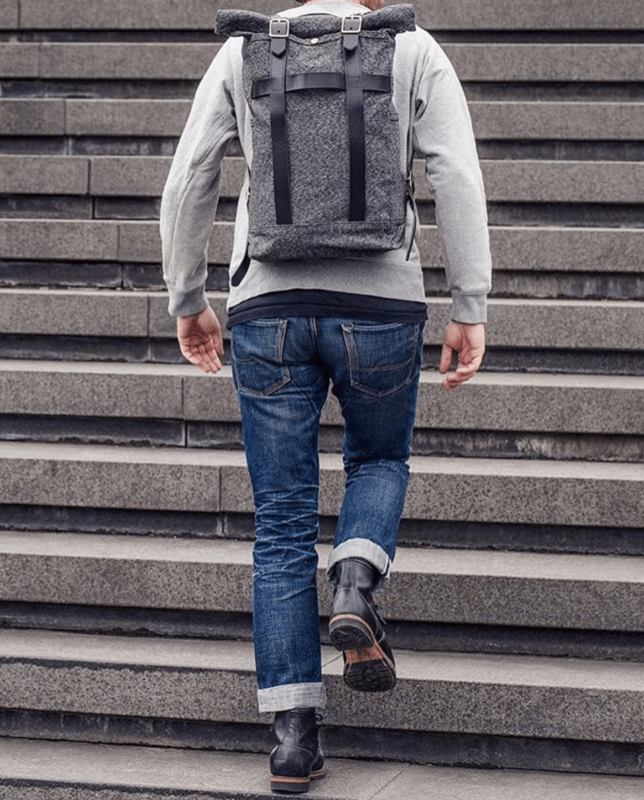 InnesBags is probably the least known brand featured in this article but got to our attention on Instagram by their cool designs. The bags are handmade in a little family-owned workshop in Bratislava, Slovakia. A few years ago, Inna, founder of InnesBags, decided to start making her own bags. With every new design, she refined her skills and technologies. Later, her husband joined the team, and together they brought InnesBags to where it is today. The collection of InnesBags exists out of wallets, cardholders, totes, and backpacks for both men and woman. 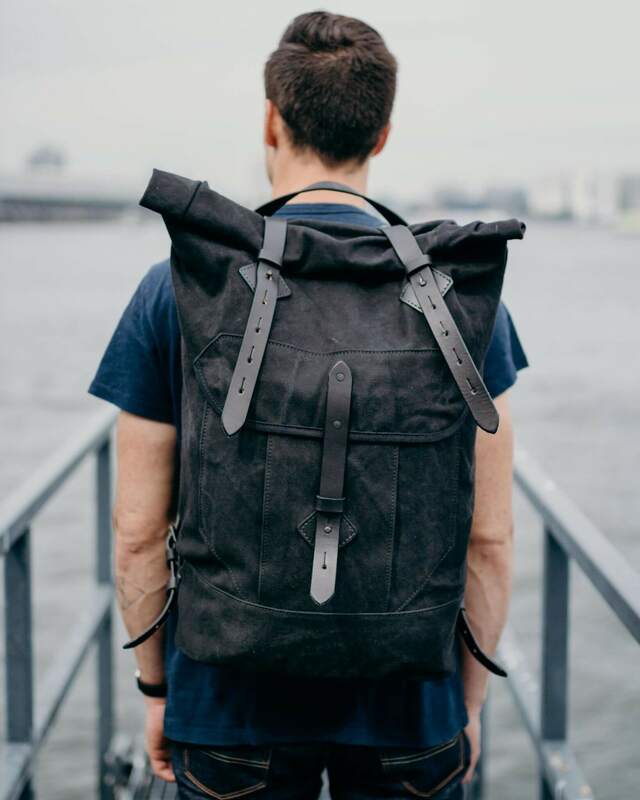 The backpacks are mostly made of genuine leather and waxed canvas, specifically chosen for their strength and durability, and sourced from renowned weaving mills and tanneries from all over Europe and the USA. Every item is a result of more than three years of trial-and-error, resulting in reliable and easy-to-use accessories. The roll top waxed canvas leather backpack is available in three sizes, and therefore suitable for many occasions. Whether you are going to work or on a hiking trip for a few days, one of those sizes can carry your belongings. The interior of the bag is lined, has one zippered and two open pockets, and a padded section for a laptop, giving extra protection. The roll top backpack is made of high-quality, water-resistant British waxed canvas, natural leather, and metal hardware. The medium size, seen on the photo above, is available for €195 on Innesbags.com.